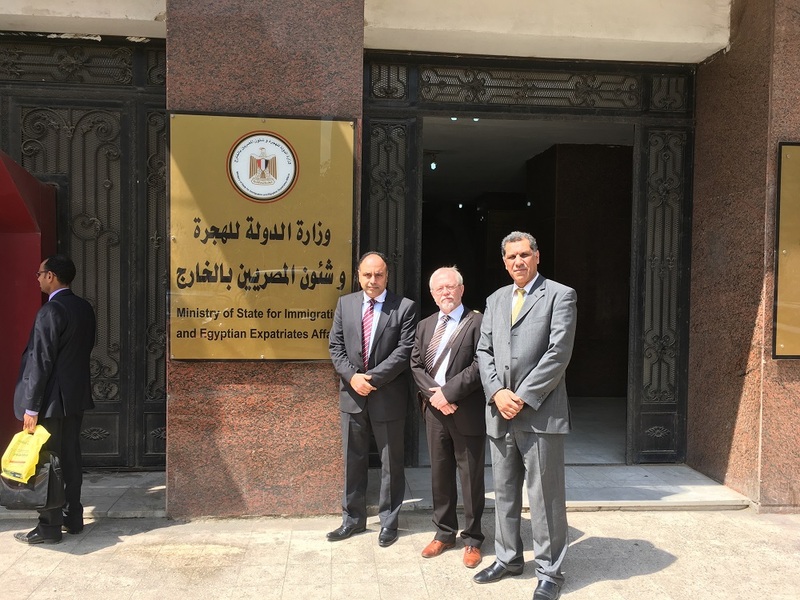 On 23rd May 2017, Secretary General of EVBB, Horst Dreimann, met with her Excellency Nabila Makram, Minister of Immigration and Expatriate Affairs of the Arab Republic of Egypt, and her assistant, Dr. Saber Soliman, to discuss fields of cooperation in the field of VET for migrants and refugees. 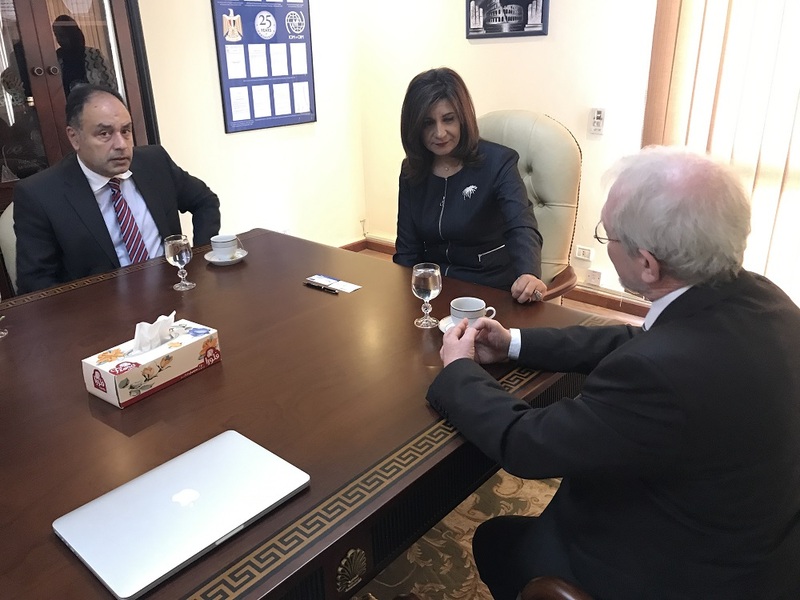 The meeting was prepared and joined by Dr. Ehab Shawky, Director of the PMU of the TVET II project which is designed to implement the reform of VET in Egypt. Following high level political talks between German Chancellor Angela Merkel and Egyptian President Abd al-Fattah as-Sisy and Ms Makram in March this year, it became evident that Egypt with its geostrategic location and the challenges the country faces with respect to migrants choosing Egypt as a transit country to move on to Europe, needs support from outside to tackle the issues of legal migration to Europe and to help the Government in providing tailor-made training programmes so that migrants and refugees can build on better life perspectives. 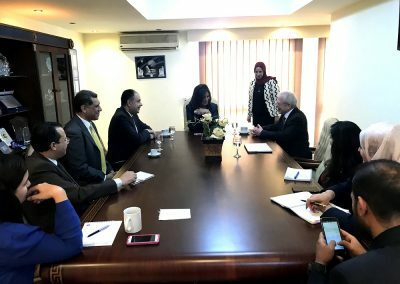 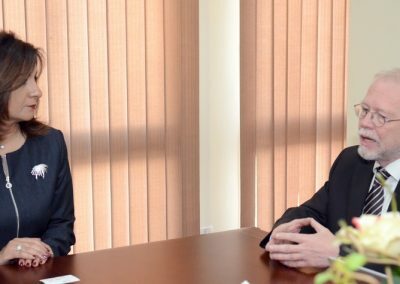 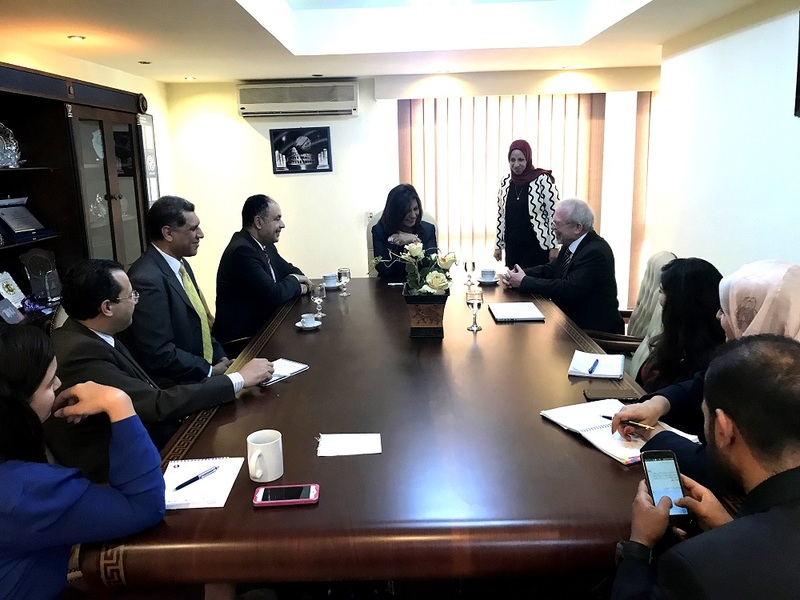 On occasion of the discussions held in the Ministry with her Excellency Nabila Makram, it was agreed that both EVBB and TVET II develop a concept note and MoU for further action in the region. 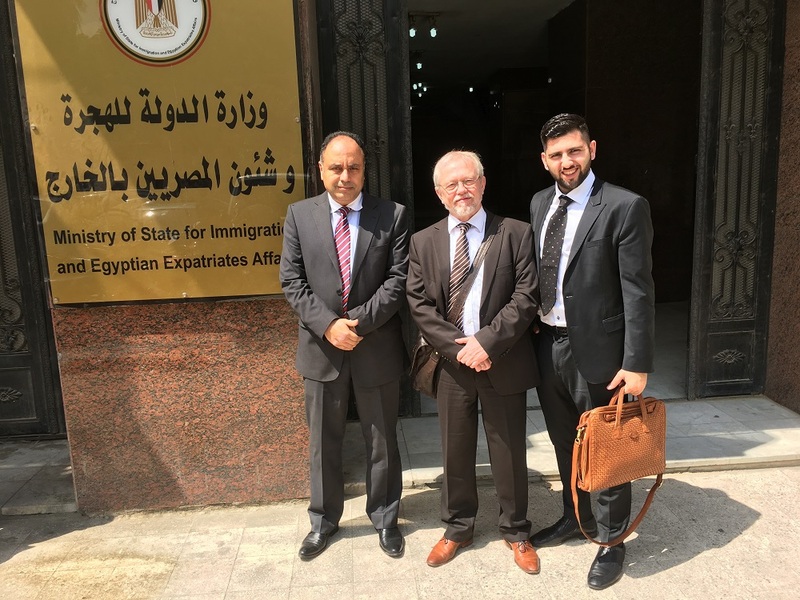 Trainings for young people and adults are a corner stone in European – Egyptian cooperation and the fight against illegal migration and a structured approach for bridging labour market gaps.